Just released a new feature. 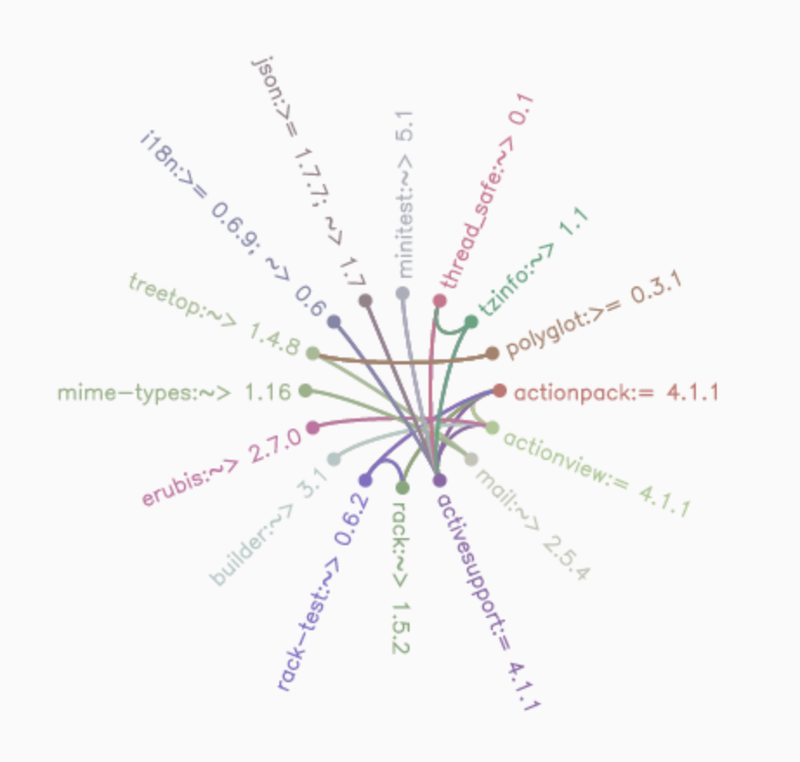 You probably saw already the cool dependency graphs VersionEye can render for open source projects. Now the same dependency graphs are available for private GitHub/Bitbucket projects as well. 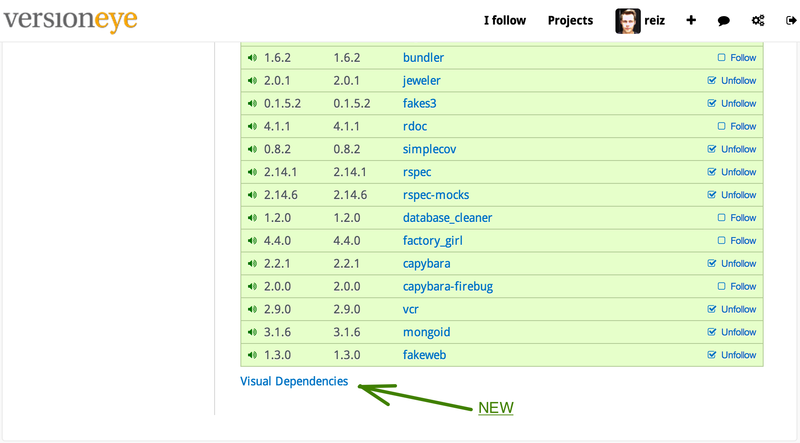 Just navigate to one of your VersionEye projects and below the dependencies you will see a new Link. By clicking on that link you will navigate to another page where you can see your dependency graph. Just like this. Give it a try and let us know what you think.